Security Fence Mesh - Buy Security Fence Mesh Product on Anping Kingdelong Wiremesh Co.,Ltd. 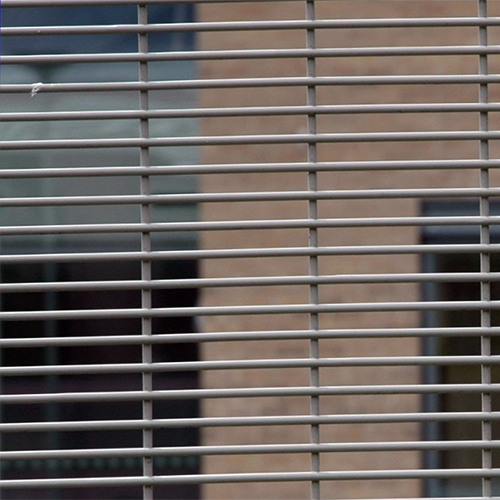 Securextra 2D Security Fencing System is the ultimate heavy duty welded mesh panel for providing the highest degree of security with the most discreet visual impact on the environment. The panel has the same toe and finger proof profile asSecurextra 358 and is further enhanced by the inclusion of 5.5mm vertical wires and additional 3.5mm wires at 144mm centres to improve rigidity. The design makes it very difficult to cut through the panel with simple hand tools. The design is functional and there are no unsightly projections beyond the fence line resulting in a safe environment in the areas where Securextra fencing is fitted. 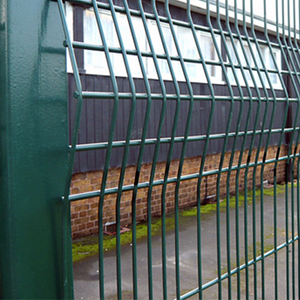 Securextra 358 Security Fencing is the ultimate heavy Weldmesh panel for providing the highest degree of security with the most discreet visual impact in the environment.The finger and toe proof mesh profile combines an anti-climb and anti-cut panel with excellent through visibility an resistance to vandalism. Securextra 358 is extremely difficult to penetrate, with the small mesh aperture being effectively finger proof, and extremely difficult to attack using conventional hand tools. '358' comes from its measurements 3" x 0.5" x 8 gauge which equates to approx. 76.2mm x 12.7mm x 4mm in metric. 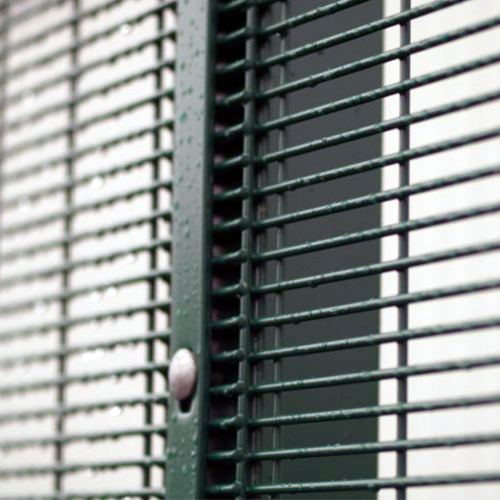 Securextra 358 High Security fencing system manufactured from hard drawn wire and electro-resistance welded at every intersection. Vertical Wires: 4mm diameter at 76.2mm centers. Securextra® 3510 Security Fencing has many of the attributes of Securextra® 358 Security Fencing and its main strength is it's lighter. Using 3mm wire instead of 4mm allows even better visibility allowing a wider variety of applications.It's lighter and cheaper so it's ideal for commercial applications. 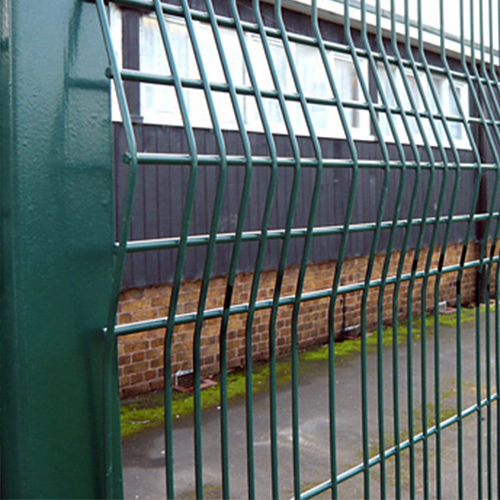 Advantages: The aperture is 73.2mm horizontal x 9.7mm vertical and makes 3510 Security Fencing extremely difficult to penetrate using conventional hand tools, thus providing a high delay factor. Using 3mm diameter wire with close apertures, makes 3510 hard to climb and with so many wires ensures it is difficult to cut through. 3510 like its high security cousin Securextra® 358 has many applications, particularly where maximum to high security is not required. Coated in Galfan zinc and 5% aluminium for long life protection. Weld strength is minimum of 75% to steel strength guaranteed on every weld.